The San Diego and Arizona Regions are partnering to put on a SoPac Championship Road Race at Chuckwalla Valley Raceway on December 5-6. There will also be a Track Day on Saturday for people who are interested in coming out and getting some seat time on the racetrack without the competition license requirements! Are there additional resources to point people to for details about what to expect from an SCCA Track Day? 1 - we're only going to have one run group - but 4 sessions versus the night program's 3 sessions. 2 - there won'tt be the paced/parade laps option in the middle of the event like a night Event. 3 - since this is a full club racing weekend - there isn't a Run/Work option. Are instructors available (or mandatory)? This is a structured track day versus a driver school/education event, so we'll be debriefing drivers after the sessions, but there won't be instructors in your cars. Will participants have transponders for timing? No timing is allowed on these events. What do we need to do to prep their cars? 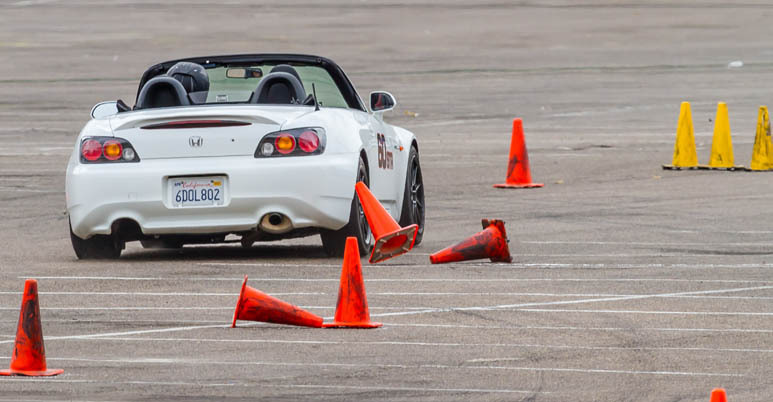 The track day will be $150 for four 20 minute sessions on Saturday, December 5th. Last edited by Robertsmania; 11-17-2015 at 07:18 AM.